Come join master player and teacher Abou Sylla and learn how to get started on the Sousou Balafon. Using two special mallets on a wooden keyboard with calabash under as resonators. THIS IS A BEAUTIFUL INSTRUMENT. You will LOVE it. Limited to 10. 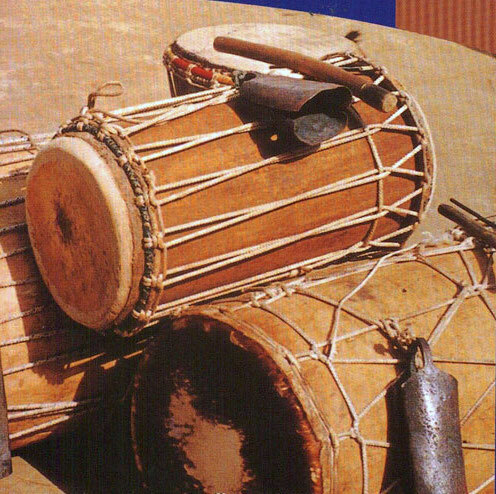 This informative and fun workshop will give you some history and how the shekeré is used in folkloric traditions especially in Afro-Cuban and Latin music. 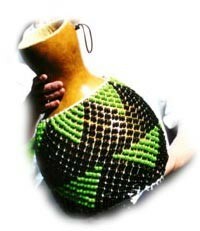 The shekeré, a musical instrument that is fun and exciting to play, is a natural gourd instrument covered with strings, rope and beads to make a basket which strikes the calabash. DRUMMING AND GUINEA DANCING WORKSHOPS! 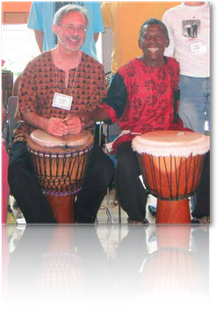 Notation - my friend Rainer D.
In a rare workshop, Alan Tauber, master technician of the djembe, shares his expertise in notating African rhythms on the fly! We will learn to hear a phrase and write it down on paper in a way that will remind you of what you played just moments before. This way, you can have a paper or digital system of keeping track of the music. The Mystery of Notation - Let’s take the mystery AWAY! We will use the world-wide standard for notation and embellish it a bit for our needs. We will learn to hear and notate hand-patterns, breaks, solo phrases, rolls and arrangements for the djembe and dunun drums. You may wish to bring a camera or a recording device, pencil/pen, and paper. You probably won't need your drum, but you may want to bring it anyway. This is not a drumming evening! This workshop is all about how to really be able to write down what you are playing. 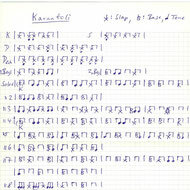 It will be fun and focussed work, with instruction and practice time to give you experience with the notation system. Djembe technique in the relaxed position. For beginners to professionals. All are welcome and encouraged to attend. Loved the workshop! Your expert and in depth analysis of each type of strike was crucial to my starting off without developing any bad habits. It will be very valuable to me as I evolve into a beginning drummer! You are kind, patient, very observant, and have a great sense of humor. This makes for a not only a helpful, but delightful class as well. A few times a year we break out the Krin and show people the wooden log instrument that contains the tone, slap and timing strokes that we now play on the djembe. 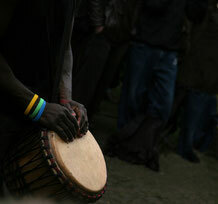 Many of the traditional rhythms that we play on the djembe originated on the Krin! 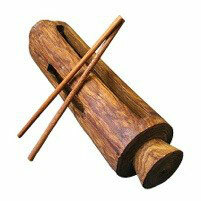 The Krin is played with 2 thin sticks in a seated position. Alan will focus a good amount of time on rolls in tones and slaps on the Krin for SOLO! This will help your understanding of ROLLS in general and it will all apply to the djembe. We could call this a ROLLS CLASS! Please bring a recorder and maybe a pen and paper. And your Krin or use one of ours! Guinean and Nigerian Krin will be for sale. Sticks as well. Learn what to do when it’s YOUR time to SOLO. How to Solo (Guinean Style) on your Djembe. 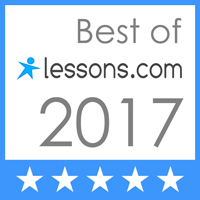 This workshop includes Technique, tonal sounds, rhythms and phrases. For ALL drummers… beginners too. It’s FUN! If you already can solo, you will learn a LOT! Alan will begin with the basics and show you how to gradually expand your soloing technique... even if this is your first time. We will learn how the masters do it. Solo expression and having FUN will be emphasized!